As winter gives way to spring, some of us may be emerging from a state of “seasonal sedentary syndrome.” With April’s Move More Month, it’s time to lace-up those sneakers and start finding your stride – and become eligible for a chance to win fitness-related prizes. 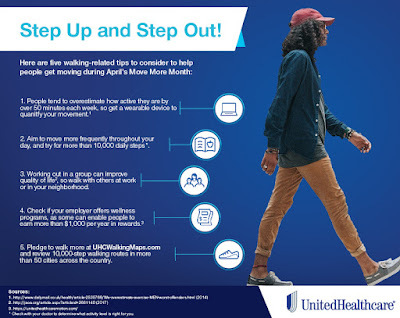 That’s why UnitedHealthcare, the nation’s largest health care company, has launched the Step Up for Better Health Sweepstakes. To enter, pledge to walk more at uhcwalkingmaps.com, and become eligible for a chance to win one of hundreds of walking-related prizes, including Apple Watch® (10 available), $100 Foot Locker gift card (100 available) and NERF ENERGY Game Kit (100 available). As part of the sweepstakes, UnitedHealthcare will donate a total of $25,000 on behalf of the first 25,000 people to sign the pledge to Boys & Girls Clubs to help reduce childhood obesity. 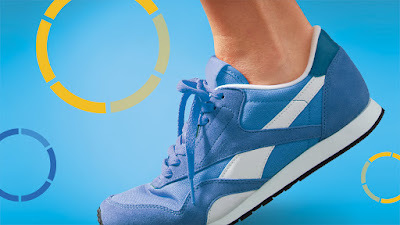 The site also has various walking resources and 10,000-step walking routes in more than 50 cities nationwide, helping people visualize what that distance looks like in their local communities. The sweepstakes runs through the end of April.